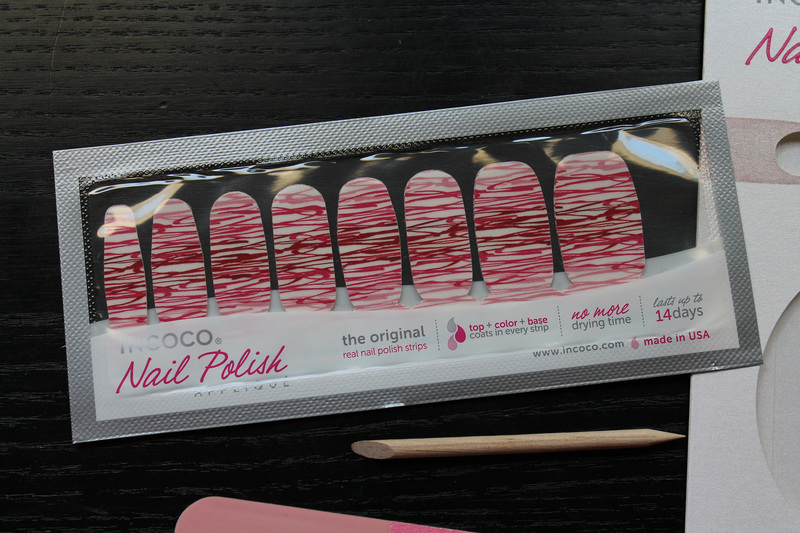 Recently, Incoco sent me a few of their real nail polish strips to try out and the timing couldn't be more perfect because I've been too busy lately to do my own nail art. 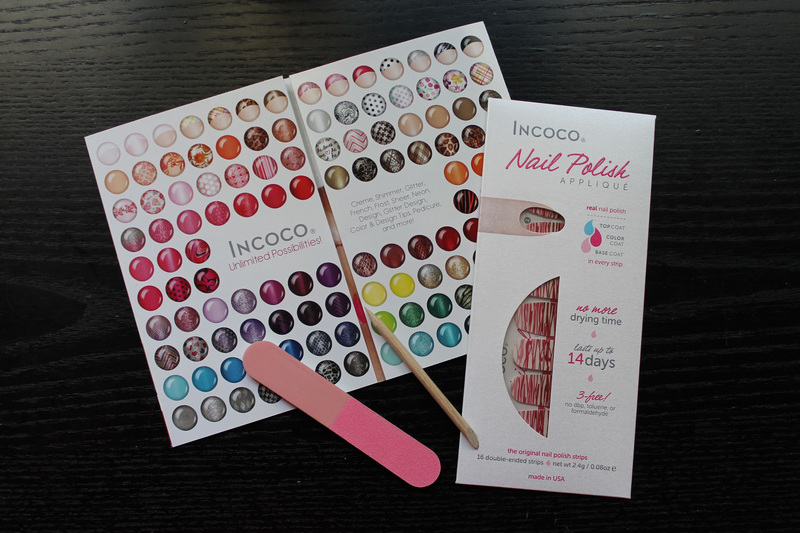 I've tried a lot of different nail wraps over the years, some good and some really bad, and you can consider Incoco in the really good category. Their wraps are incredibly easy to put on, just be sure to follow all of the prep steps including buffing your nails and using polish remover to clean off any excess oil on your nails. Doing this well help your strips last much longer, perhaps 14 full days! If you follow me on Instagram or saw my most recent outfit post, you may have noticed I had been Incoco's After Dark on my nails. I wore them for a total of eight days and as you can tell by the photo below, they held up really well. The edges towards the cuticles started lifting for me a touch and would catch my hair when I ran my fingers through it. Regardless, I was impressed. Eight days is a lot longer than I normally wear any one nail design anyway. Does Incoco sound like something you want to try? 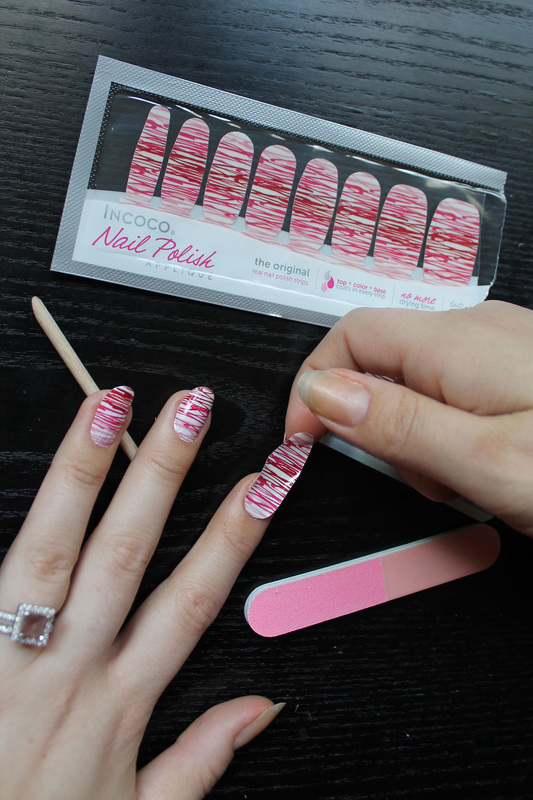 You're in luck because I've teamed up with Incoco to give one friend of IBITTM their choice of one nail design strips! Just visit Incoco.com, take a peek at their designs, and tell me which one you'd choose. Follow Incoco and me on any of our social media accounts listed below for additional chances at the prize. Can't wait to win to try them for yourself? Buy your favorite designs now with the code THINKINCOCO to save 15% off your first purchase! I like cobra. And Zig. And most of them. 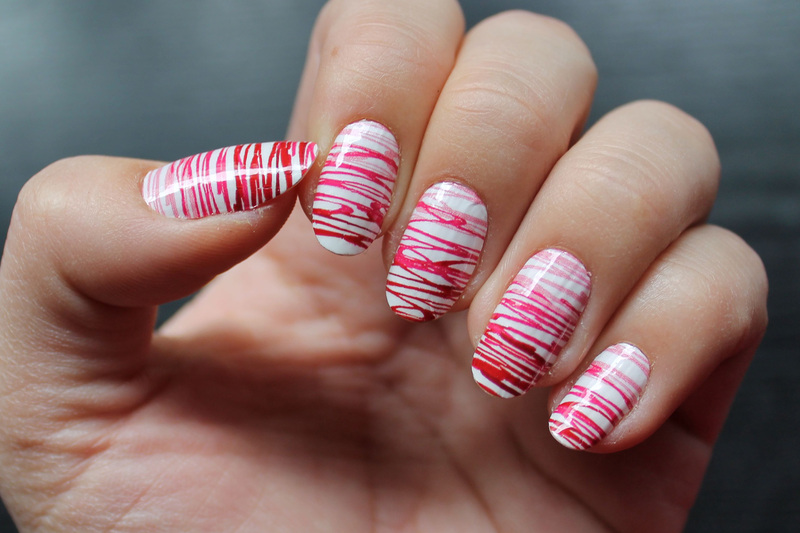 I love nail wraps like these because they don't seem to chip as easily as real paint. Never tried this brand before but might have to- especially since their St. Patrick's day colors are too cute. Loving the Clover Fields. 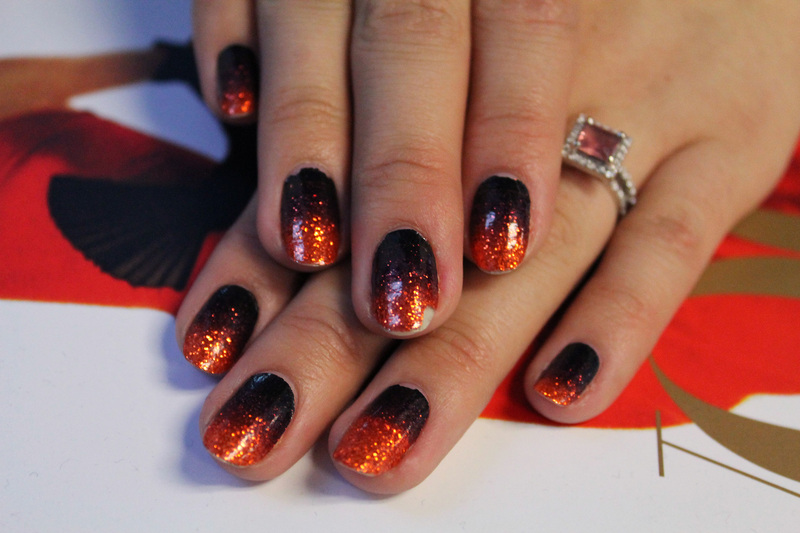 Easy nails for a soon to be new mother? Yes, please! I love incoco! 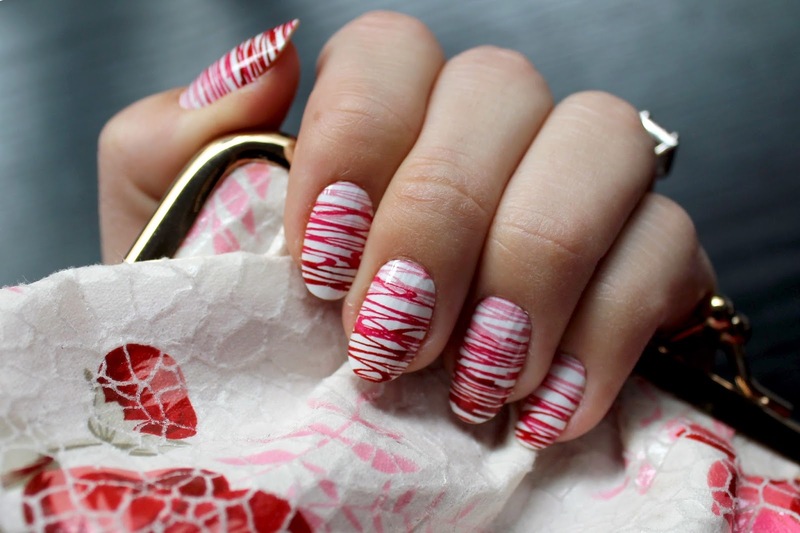 Your nails look super nice with Made with Love... I think I'd really love Sweet Spots. I love the Hello Sunshine (http://www.incoco.com/spring-nail-art-hello-sunshine) :) Thanks for the giveaway! Tea Party is so cute! Oh garden path is my favorite. http://www.incoco.com/new-year-nails-confetti this is so cute ! I would die for "Cozy Up"...It's the design I always want to wear during Winter festivities! ADORE ADORE ADORE IT! 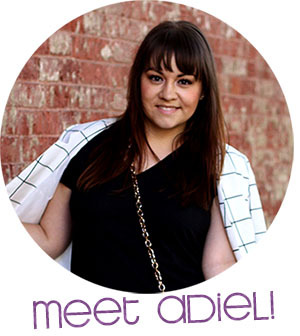 I love Spring Fling, because it is so girly and cute. I don't get many chances to look feminine.